In a significant blow to the Obama Administration, a federal judge has blocked the Obama Administration's moratorium on off shore oil and gas drilling. U.S. District Judge Martin Feldman in New Orleans issued a preliminary injunction that keeps the Interior Department from enforcing the ban. The administration issued a six-month moratorium in response to the Deepwater Horizon disaster in the Gulf of Mexico. It reasoned that since the cause of the accident wasn't clear, a moratorium was needed to make sure that continued drilling could be done safely. 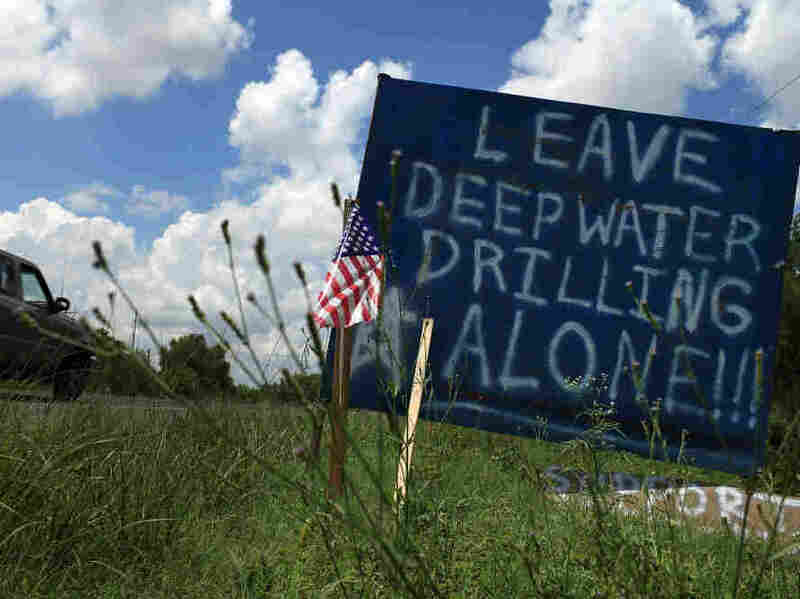 But the moratorium's opponents -- including oil industry and state and local government officials, as well as workers and even those like fishermen hurt by the oil spill disaster -- said the administration's moratorium was arbitrary and that there was nothing inherently dangerous about offshore drilling. They called the ban a further blow, following the BP oil spill, to the Gulf Coast region's economy that would unnecessarily cost thousands of jobs and billions of dollars. Judge Feldman agreed. An excerpt from his opinion. This Court is persuaded that the public interest weighs in favor of granting a preliminary injunction. While a suspension of activities directed after a rational interpretation of the evidence could outweigh the impact on the plaintiffs and the public, here, the Court has found the plaintiffs would likely succeed in showing that the agency’s decision was arbitrary and capricious. An invalid agency decision to suspend drilling of wells in depths of over 500 feet simply cannot justify the immeasurable effect on the plaintiffs, the local economy, the Gulf region, and the critical present-day aspect of the availability of domestic energy in this country. Accordingly, the plaintiffs’ motion for preliminary injunction is GRANTED. "We will immediately appeal to the Fifth Circuit. The president strongly believes, as the Department of Interior and Department of Justice argued yesterday, that continuing to drill at these depths without knowing what happened does not make any sense, and puts the safety of those involved, potentially puts the safety of those on the rigs and the environment in the Gulf at a danger that the president does not believe we can afford right now."